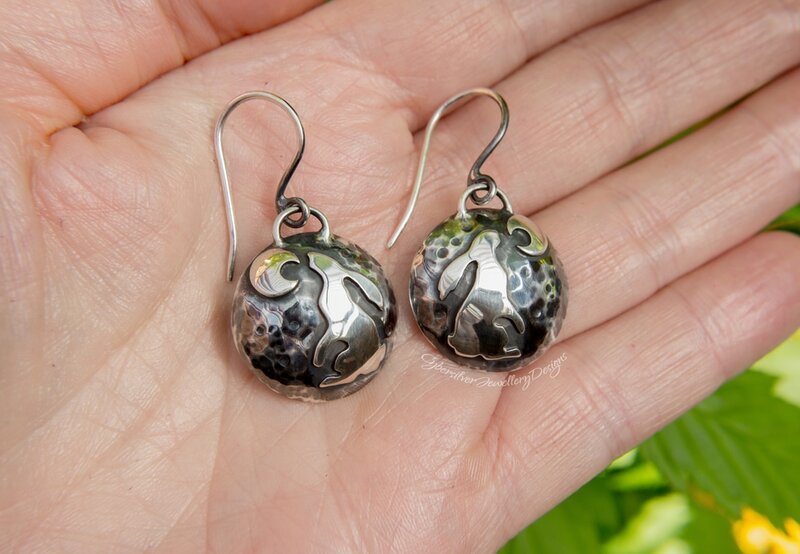 These silver earrings are entirely handmade by me to my unique design. 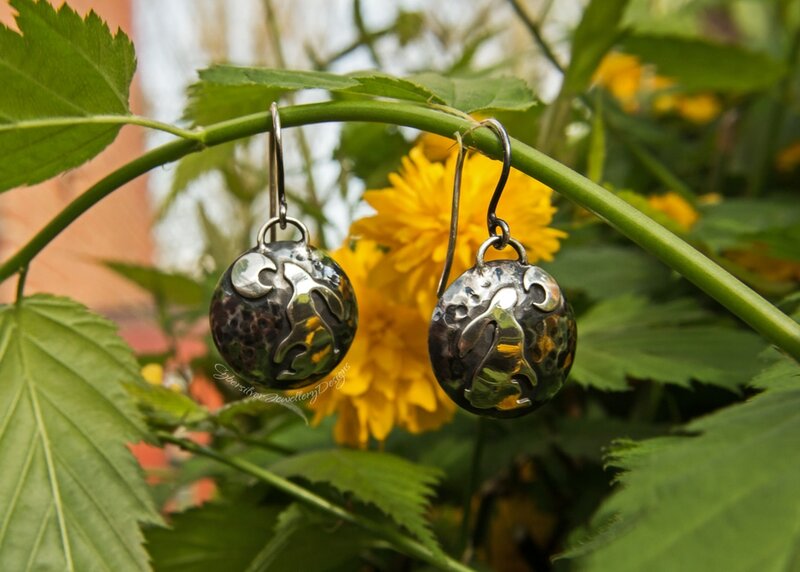 Each dome, hare and moon is meticulously hand cut and formed from sterling silver. The domed silver is hand textured to give a night time 'starry sky' background. Each ear hook handmade from 1mm sterling silver wire. The silver has been textured, oxidised and brushed and then sealed with a microcrystalline wax to help protect the oxidised surface. Oxidisation is a surface treatment that can lighten with wear. Please note that as each earring is entirely handmade there may be slight differences in each one. Please allow up to 15 working days for completion of your earrings.